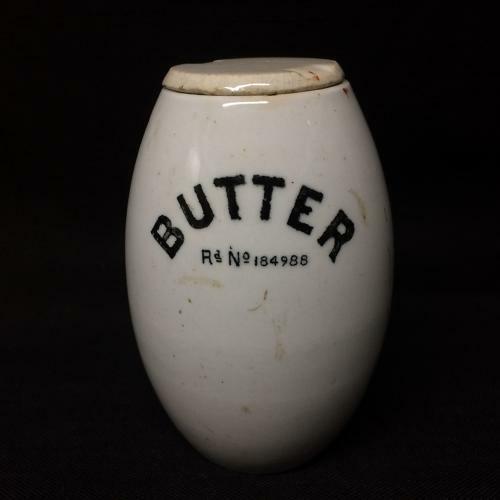 This small English 19th century oval barrel shaped Butter pot with matched lid dates to 1891. 3 ” across and 4 1/4 ” tall. The decorative advertising is transfer-printed in black and underneath the glaze and reads ‘BUTTER’ in a great letter font. The butter tub is in great condition. Lid is aged to a light brown. A great example, rare to find as displays beautifully.